Kimberly Kauffman joins the firm’s Texas team. Austin, TX (December, 2016) — Welter Law Firm, P.C. (Welter) welcomed Kimberly Kauffman to the firm’s nationwide team of employment law and litigation attorneys. 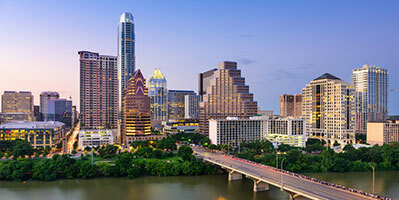 Ms. Kauffman joins the firm’s Austin, Texas office as their latest associate, focusing on employment law issues and litigation. Graduating from The University of Texas School of Law in Austin, Ms. Kauffman also acted as the Articles and Notes editor for the Texas International Law Journal. During law school, Ms. Kauffman interned at the University of Texas System’s Office of General Counsel. Ms. Kauffman then joined the Law Enforcement Defense Division of Attorney General of Texas’ office, representing state employees in civil rights litigation. Learn more about Kimberly Kauffman.